One of the delights of living in the British Isles, particularly England and Wales is the way in which spring surprises us every year with the astonishing beauty of the flowers. 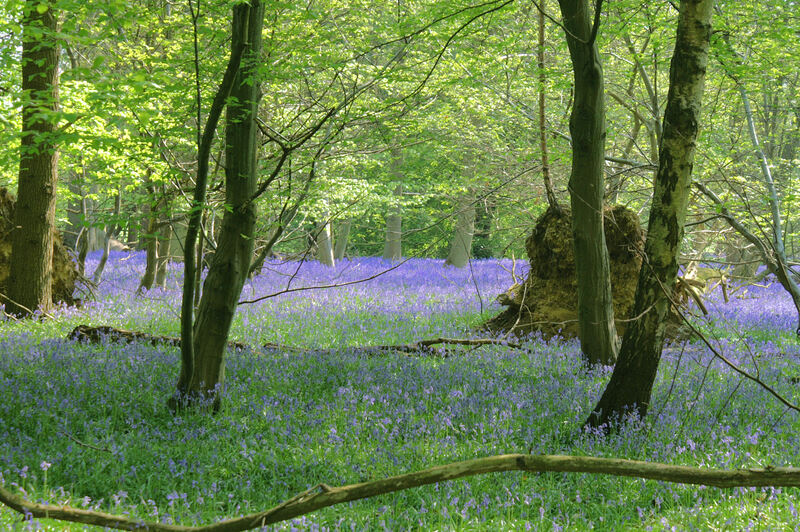 To my mind the bluebell should be the English national flower and at this time of year it appears like magic to carpet the woodland floor with an azure mist that changes in tone from blue to violet depending on the play of light through the almost leafless canopy. Literally millions of stems topped with a drooping head of delicate flowers giving off a wonderful scent. Happily these days people who take a trip out to see the bluebell woods (many of them found on the Chilterns and Downs) come to look and to photograph and not, as in the past, to dig up the plants and try to grow them in their gardens – usually unsuccessfully for the British bluebell needs the company of friends if it is to continue to delight the eye and the senses. To my mind a bluebell wood in full glory with the first orange tip butterflies and brimstone butterflies trying to get at the nectar-filled florets is one of the most wonderful sights in nature…. But it is the bumble bee that is the master, or to be correct (the mistress) for all the bumble bees collecting nectar and pollinating flowers are female. 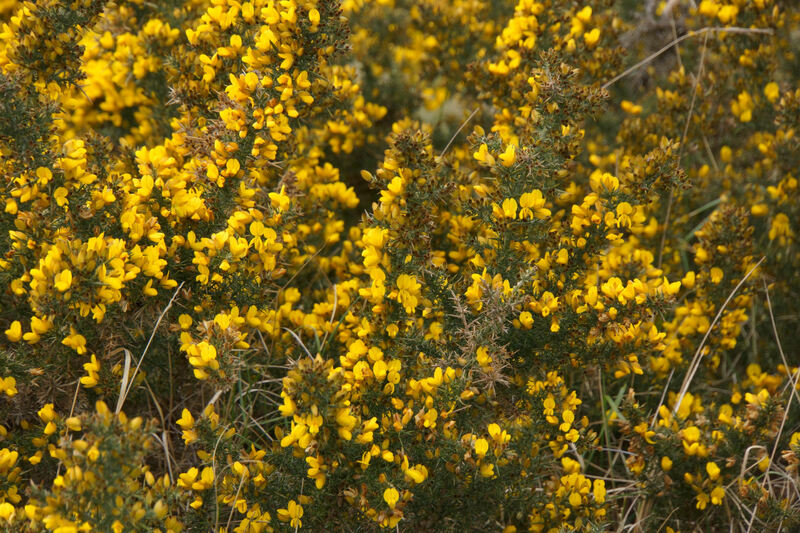 And it’s not only the bluebell that is delighting us at the moment… Gorse, a leguminous plant and a member of the world wide pea family, is thriving in golden splendour. Like other members of this family it has a property that allows it to grow in the most unpromisingly infertile soil conditions by adopting a specific type of soil bacteria with a capability to take nitrogen from the atmosphere and fix it as soluble nitrogen that the plant can then use as food. In consequence gorse will flower at the most unexpected times of the year, hence one of my favourite old country sayings about wild flowers “There will always be love as long as the Gorse blossoms.” which is encouraging for romantics like me as there are always gorse flowers in bloom somewhere. Indeed at the moment, on heaths and downland there is a mass of the nectar-rich, snap-dragon-like flowers of golden gorse, to the delight of the early bees. If you stand downwind from a bank of gorse you can smell the sweetness in the air. This is my first full blog, hopefully the first of many and as you can see from my picture I am one of the “grey” generation. I live in the UK; I’m a writer, photographer, painter and sometime broadcaster specialising in wildlife and the countryside. I’ve written a number of books and thousands of articles for newspapers and magazines, illustrated with my own photographs and artwork…. Since childhood I’ve been fascinated by our fantastic and beautiful world; by the myriad creatures, plants and landscapes with which we share the planet. 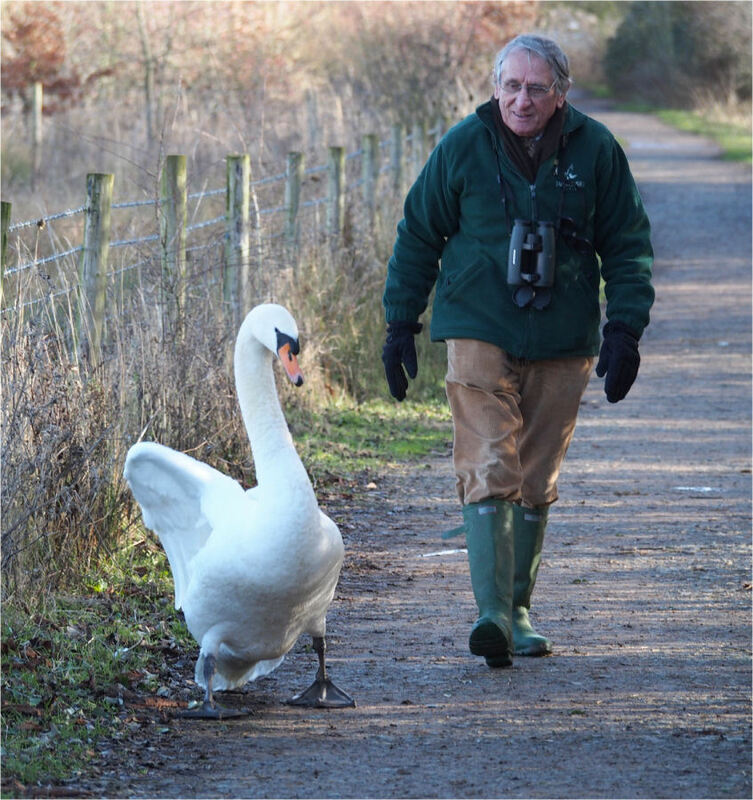 As a working naturalist I’ve had the good fortune to pass on my interest in the natural world to readers, listeners and viewers… And through this blog, I hope to be able to continue to share some of the things I come across, be they exotic or every-day wildlife happenings. In the UK spring is making itself felt. Native birds like robins, blackbirds hedge-sparrows and titmice are setting up nesting territories and singing. We are an incredibly fortunate species, we hear birdsong as beautiful natural music and the many different landscapes that we delight is where the majority of wildlife lives. The beautiful dawn chorus is actually a message to birds of the same species either to keep out because this particular territory is taken, or an invitation to a female that the singer will make a good provider and has a territory with food and shelter for the family they can raise together. Spring birdsong in Britain is nearly always sung by male birds, mostly the females simply issue contact calls. 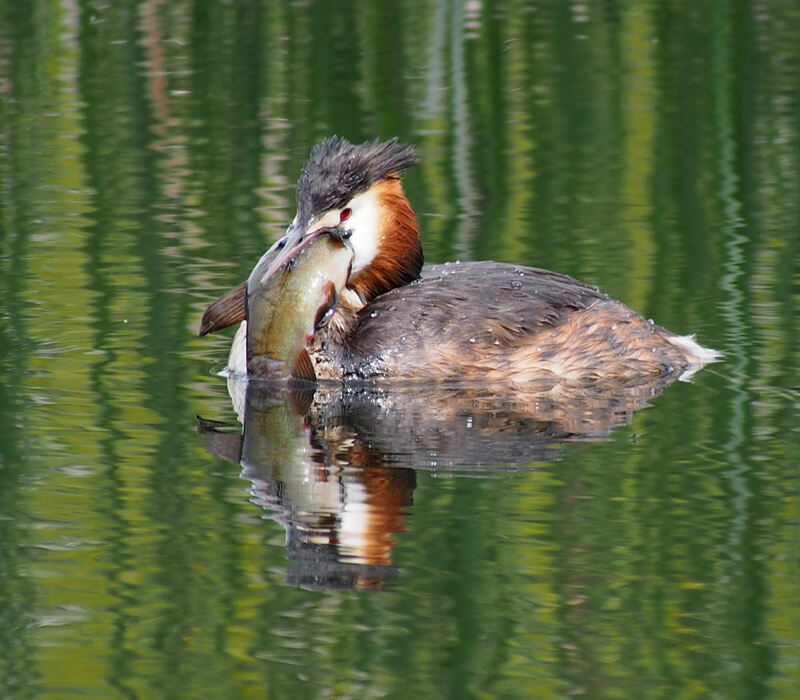 Nature holds is breath as the vanguard of spring migrants sweep up from the continents of Africa and Asia. The first sand martins and swallows have arrived on the east coast. These small, seemingly delicate birds have travelled thousands of miles and will search out the sandy cliffs that provide easy tunnelling for their nests. 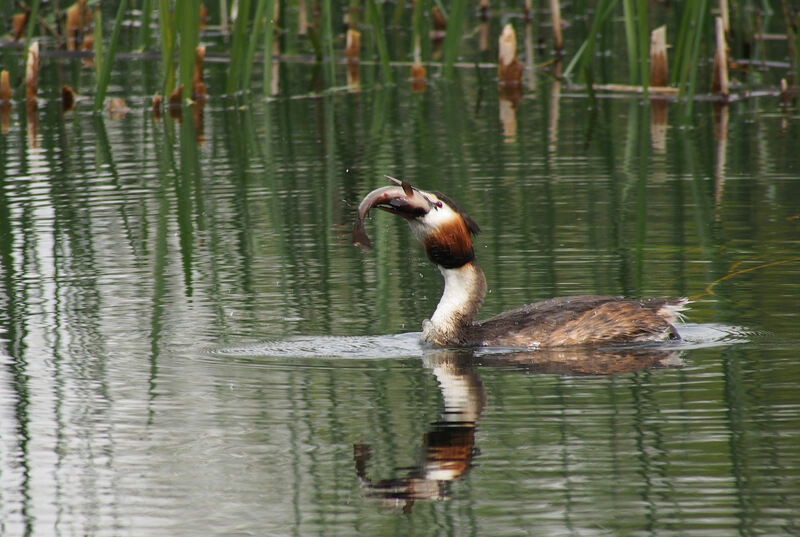 The RSPB reserve at Minsmere is often a good place to see them. Unfortunately for many bird migrants their mind-blowing journey will end on one of the islands in the Mediterranean prey to trappers and shooters who kill them for sport and for the table as they are considered to be culinary delicacies. As I write the sun is making patterns on the hillside outside my window and spring is in the air – what better time to begin a blog on nature.